Isn't having a choice great? It makes a difference, even with something we think we would always like. Take chocolate, if every time you ordered ice cream, wouldn't it take a lot of joy from your cone if it was filled with soft serve chocolate each time, no question? Or what if they put you in first class every time you boarded an airplane? Actually, that wouldn't be too bad at all. 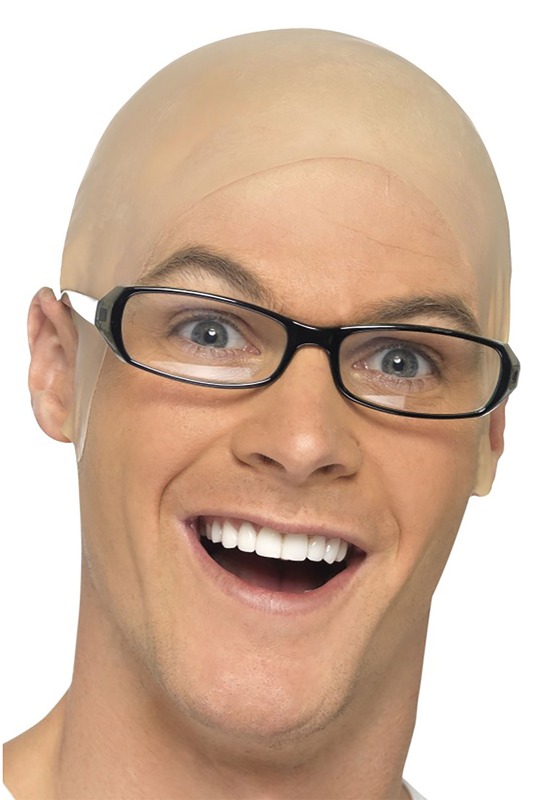 What we're getting at is that it's great to have hair, but it's nice to have the option to go bald for a day! When you go bald you're joining the ranks of Vin Diesel, the national bird of the United States, and Patrick Stewart, whether you can pull off making it look as good as those fellows it's up to you. There are plenty of reasons to go bald, just remember to thank your lucky stars that it's a choice. Looks nothing like picture. Was completely see-through and didn't fit well at all. Epic Fail!! !